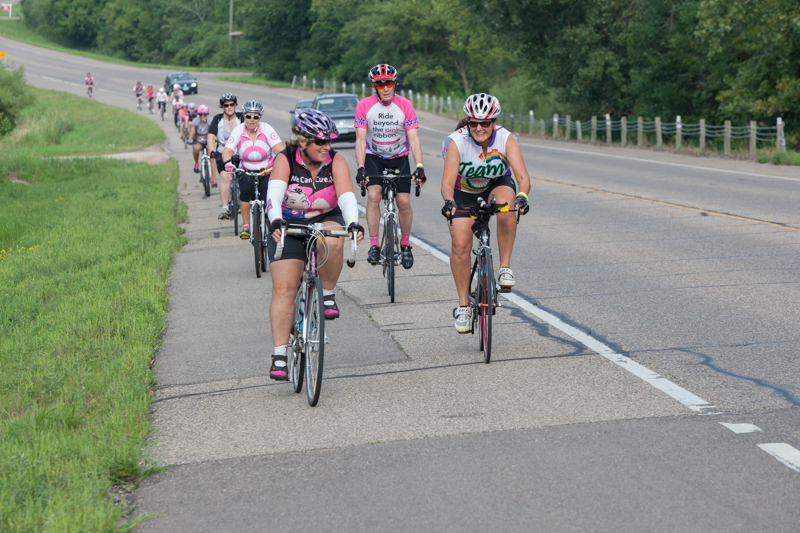 Join the 9th Annual Breast Cancer Ride on Saturday, August 13th, 2016 at the Eagan Community Center, 1501 Central Parkway, Eagan, MN 55121. Riders, volunteers and donors wanted. Download our brochure, poster, flyer or donation form. Click here to meet some of our participants. Volunteer information can be found here. Spectator information can be found here. Route information can be found here. Ride Guide (for registered Riders only) can be found here. 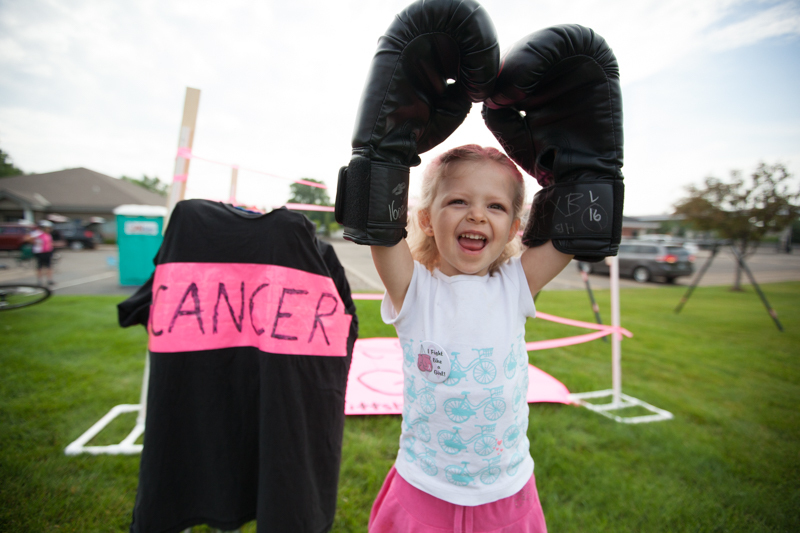 The 9th Annual Breast Cancer Ride, taking place on Saturday, August 13, 2016, will start/stop at the Eagan Community Center at 1501 Central Parkway, Eagan, MN 55121. Ride out is at 8am; festivities on the Eagan Festival Grounds to follow until all the Riders have returned. Use the Event Info button on the top to learn more about the Ride. Want to check out the routes? Click here. REGISTRATION: Riders under the age of 18 must have an adult, who is also registered, participate with them at all times. 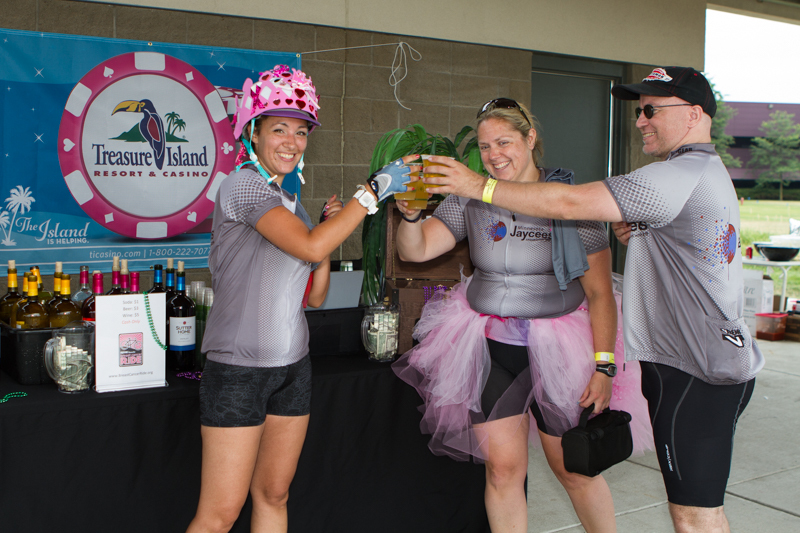 Adult Riders pay a registration fee and have a required fundraising minimum of $350 (that's 10 friends donating just $35 each). Minor Riders pay a registration fee but are not required to fundraise (although it is appreciated for the cause). All Riders will receive a shirt for their participation. Volunteers do not have a fundraising requirement, however donations are appreciated. Volunteers will also receive a shirt for their kindness, time and talents. TEAM INFO: Team members are allowed to pool their fundraising IF the team captain wants their team set up that way (keep reading...). An example of "pool your fundraising" is as follows: Team Johnson has 2 Adult Riders, 1 Minor Rider and 1 volunteer on their team. As a team, their fundraising minimum they have to meet is $700, which is $350 (Rider #1) + $350 (Rider #2) + $0 (Minor Rider) + $0 (Volunteers are not required to raise funds)=$700. Let's say Rider #1 on Team Johnson raises the entire $700 on his/her personal fundraising page, the entire team is able to Ride because the team, as a whole, met their fundraising minimum. This calculating is done offline by the Ride office as the website is not set up for team fundraising like this. If your team does NOT want to pool their funds, we do not have to calculate it that way. Contact us with questions. Considering starting a team, but not ready just yet? You can sign up as an individual and then start your team later by emailing the Ride office the name of your team and any team members that need to be added to it. It's that easy!